Need to Buy NZ Dollars? Are you travelling to New Zealand and need to convert your AUD into NZ Dollars? You are at the right place. Danesh Exchange offers highest quality money exchange service in Melbourne that has no fees or commissions or any other kinds of overcharging at all. You pay us AUD and we convert them to NZD straight, no excessive commissions, no low exchange rates. 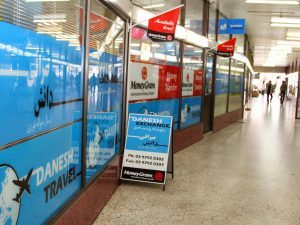 Danesh Exchange is the one stop shop that you need to get New Zealand Dollars. We offer online currency purchasing where you can order your required New Zealand Dollars in-advance. Purchase New Zealand Dollars Online! Why not purchase New Zealand Dollars online? Danesh Exchange online ordering system allows customer to place their order for foreign currency online and collect from the store. The new service allows customers to order more than 65 currencies at best rates just three easy steps. Danesh Exchange is a professional money exchanger in Melbourne committed to provide high tier service to our clients. We have made it easy for our Australian clients to exchange their AUD to NZD by offering two separate locations. Our 2 stores are located in Dandenong and Boronia equipped with latest technologies and updated systems providing online currency exchange and on-spot exchange at their best. You can find us easily in your local area and will not have to travel great distances to get your Australian Dollars exchanged to NZ Dollar at all. Danesh Exchange has revolutionized money exchange in Melbourne with high quality service. We offer highest exchange rates making it much easier for our clients to be prepared for their New Zealand travels having their local destination currency at hand as soon as they land.